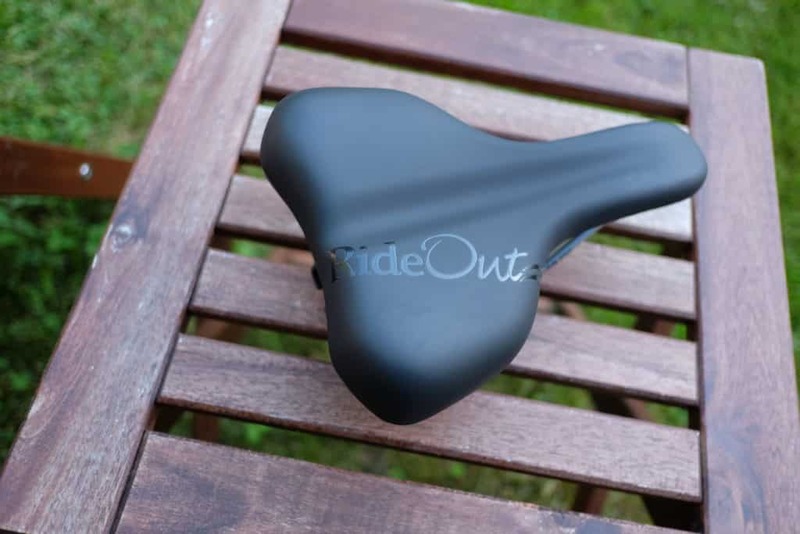 RideOut Challenger: Comfiest Mountain Bike Saddle Ever? Mountain bikes are known for a few specific things. They’re perfect for hitting trails and rough terrain, and their aggressive posture lets you pedal with confidence. One thing they are not known for is comfort. I’ve ridden a ton of mountain bikes and I can’t recall a single saddle that stood out as comfortable. I understand why it’s a low-priority thing: whether you’re riding trails or downhill or single track, these bikes tend to encourage standing on the pedals. And big, mushy seats aren’t a welcome thing in this niche. Still, you’re going to want to sit eventually. And in many riding circumstances you must use the saddle to properly control your ride. So why do most of the saddles I’ve tried feel like pointed peaks of plastic? 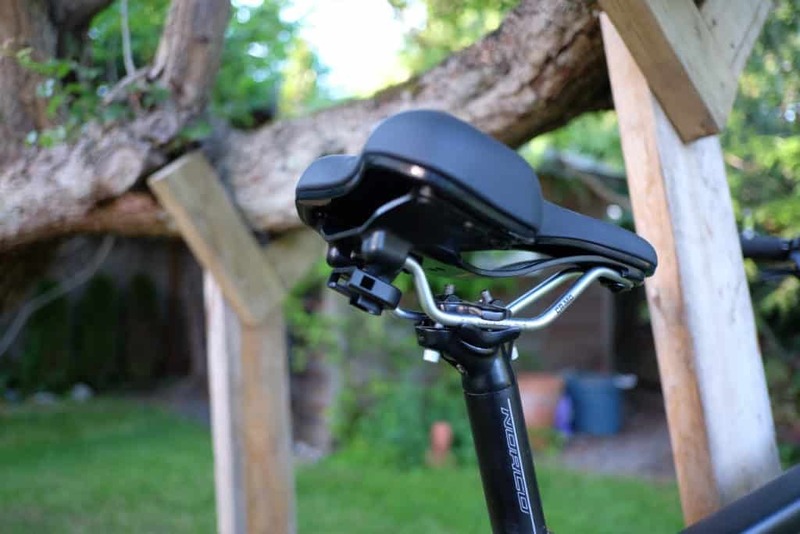 There are plenty of practical reasons to invest in an ergonomic, comfortable bike seat. While not as flashy or exciting as other parts, it’s an upgrade that you’ll notice every day. What’s more, a proper saddle helps prevent common rider maladies, like numbness and erectile dysfunction; definitely worth it. RideOut Technologies, out of Boise, Idaho, seeks to solve the problem of saddle discomfort with a range of well-designed seats. 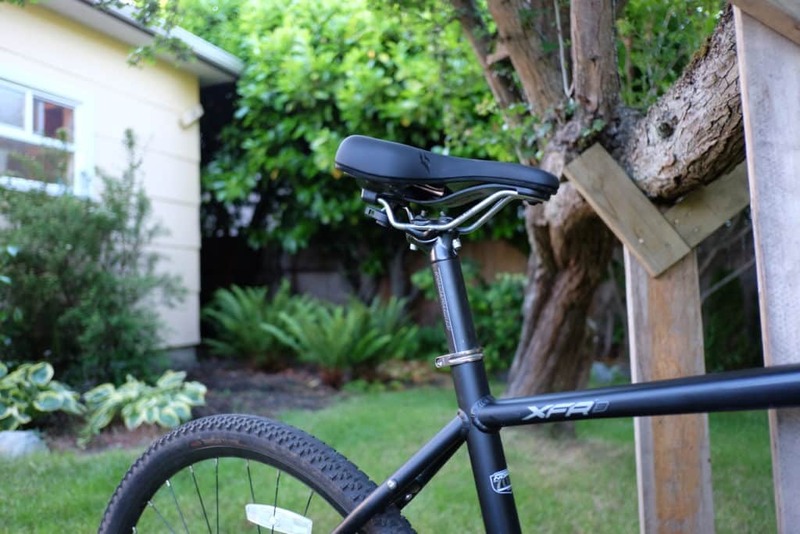 I was happy to give the Challenger, a mountain bike-specific saddle, a whirl. So how does it stack up? Is the RideOut Challenger one of the best mountain bike saddles for rider comfort out there? The RideOut Challenger is among the most comfortable mountain bike saddles I’ve come across. RideOut Challenger Reviewed: comfy trails riding at last? 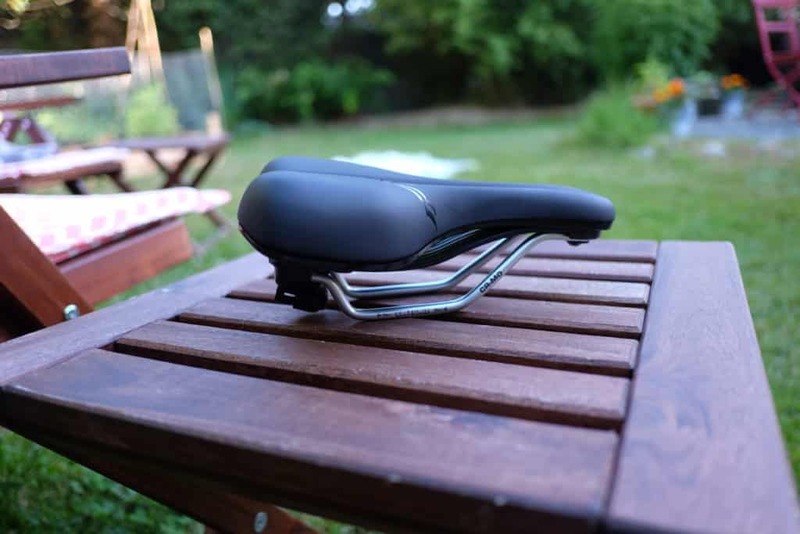 The Challenger is a mountain bike saddle specifically engineered for rider comfort. Out of the box there are some evident differences from typical products, but they’re subtle. The first thing I noticed was the width. While the horn is actually thinner than normal with a deeper cutaway, the seat is much wider than usual, with two specific, elevated pads. It actually felt odd to be so supported at first, with your weight resting almost entirely on the seat rather than in the midpoint. It’s a nice departure from the triangular, peaked saddles I’m used to seeing. 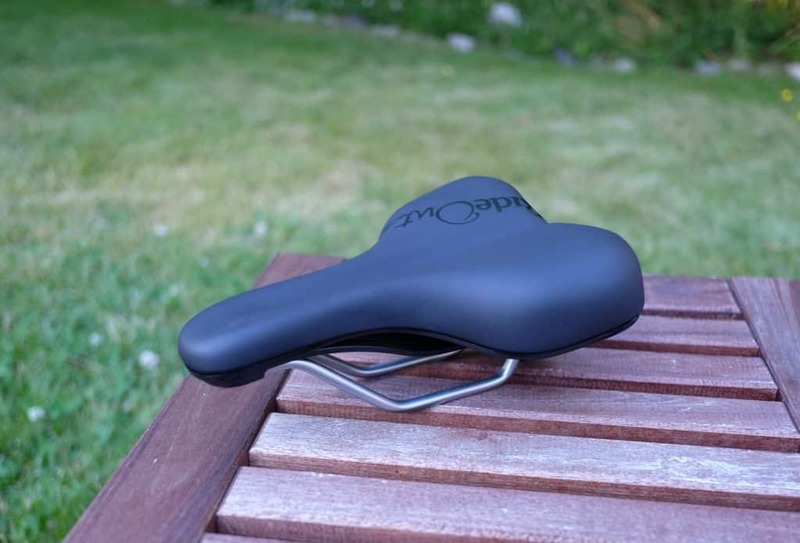 While the horn is quite thin, the seat portion of the saddle is wide enough to support your sit bones. The thin horn and cutaway is excellent for reducing leg chafing, particularly for female riders. The second thing I noticed was the unique substructure base plate. There’s a bow-like suspension made from injected carbon fibre that runs fore-to-aft and side-to-side. There are no springs, and the give is pretty subtle, which to me is perfect. Rather than having springs that compress downward, the entire base plate flexes when you hit a bump. Frankly, if your saddle has really noticeable spring give it’s probably going to negatively impact your ride. There are no such issues here; the feeling is firm yet pliable. Here’s a close-up of the bow-like suspension and chromoly rails of the Challenger. The substructure bow means that the saddle sits quite high with a chair-like stance. I found I needed to readjust my seatpost a tad to comfortably accommodate this extra height. This isn’t a negative issue at all, just my experience. The substructure and rail design means that the Challenger sits a tad higher than my previous saddle. There’s an indentation running along the centre of the saddle. This is especially nice for male riders who are looking to reduce the prostate pressure commonly experienced on long rides. Critically, this saddle is free from the two things I hate seeing in “comfort” bike seats: over-padding and springs. 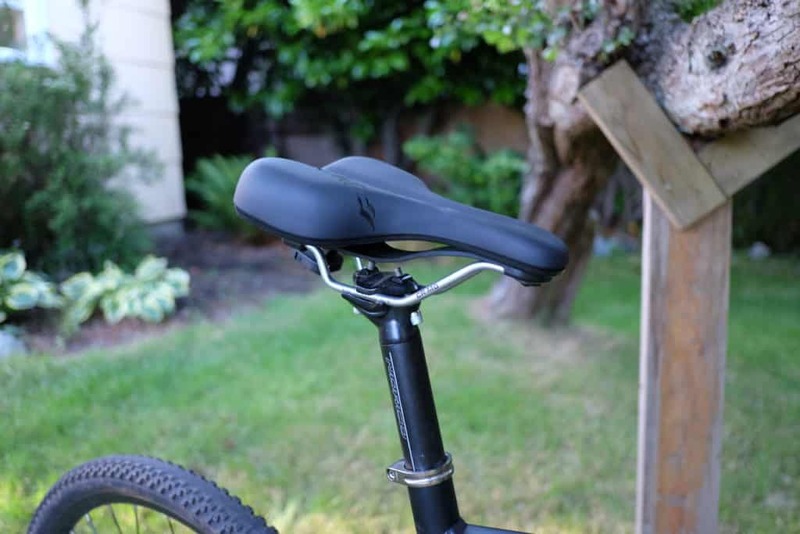 An overly-padded bike seat, while appealing on first “sit”, is actually very detrimental and uncomfortable over the long run, and springs typically add weight and reduce your control. RideOut intelligently avoided these pitfalls in favour of real function. There’s a standard clip included with the seat for attaching saddle bags or lights. The cover is a premium-feeling vinyl which looks like it should stand up to the elements. The saddle weighs in at 390 grams. That’s certainly not the lightest saddle you can source, but it’s still very reasonable and excellent considering the increase in comfort. It’s a great looking saddle! It’s certainly not flashy, but it doesn’t suffer from any weird design features and once on my bike it looked right at home. The black and silver motif is really common and neutral enough to fit with almost any frame. Here are some pictures of the Challenger installed on one of my bikes, with a better look at the base plate. Installing the Challenger was a breeze, with twin chrome-moly rails that should fit with the majority of modern seatpost clamps. If you’ve got an older style you may have to upgrade to a modern clamp to properly install, but for me it was on the bike in about 30 seconds. I honestly don’t have a bad word to say about the RideOut Technologies Challenger. It’s a great saddle and it fills a niche that I think is rather underserved. Perhaps the only note I’d give is that it isn’t exactly cheap, but the price tag is fine ($79-$93 USD), even affordable when compared with other premium saddles. 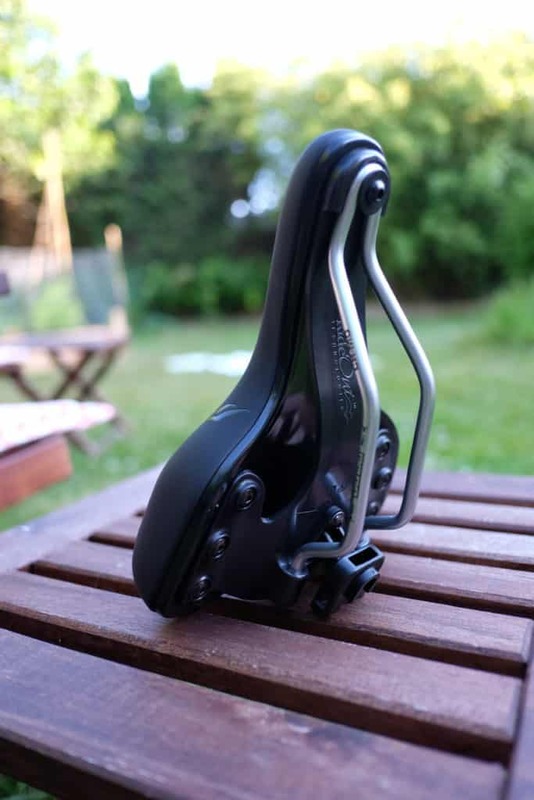 The RideOut Technologies Challenger reviews as one of the best and most comfortable mountain bike saddles I’ve come across. It’s unisex and perfect for male and female riders who want a more comfortable downhill or single track or trails experience without compromising on control, weight, or looks. *I was provided with a review unit by RideOut Technologies for the purpose of writing this review. Thanks for your in depth report on the Challenger!